With the going soft to muddy after last night's rain and some vicious showers and wind forecast it wasn't difficult to play the safety card and decide not to fly today. 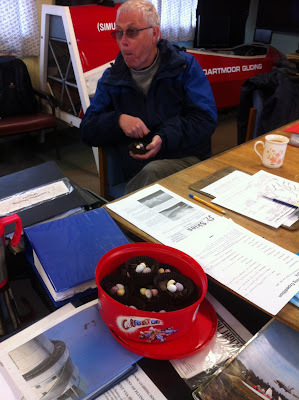 Instead, we did what all glider pilots love to do – sit around in the clubhouse setting the world to rights and celebrating Easter with some spectacularly tasty chocolate crispy thingys courtesy of chef de patisserie Paula Howarth. Great. Thanks Paula. 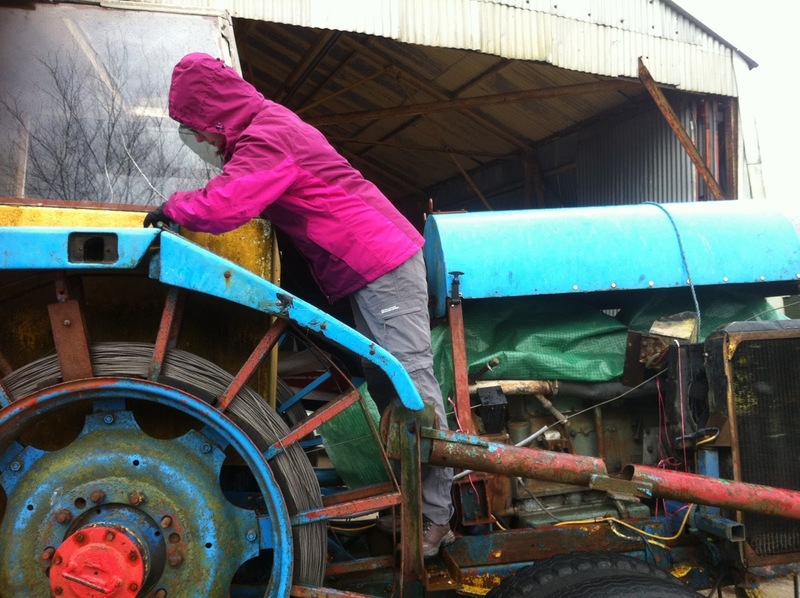 Paula Howarth refixes the blue mudguards to the Guslaunch winch. The ‘A’ Team in the East End trailer park carefully moving the Swallow to a new residence. with the flatpacked Swallow trailer. 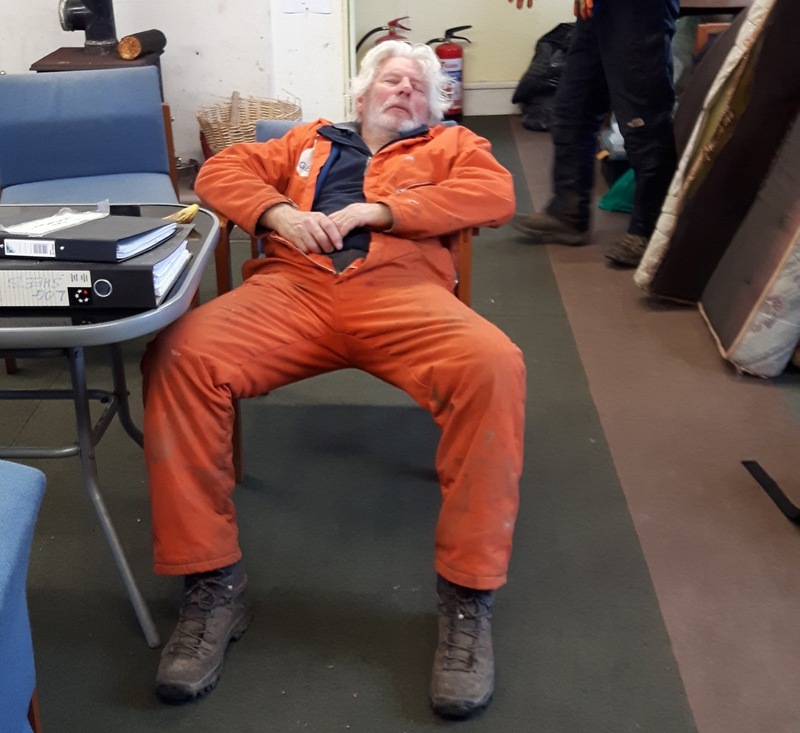 After lunch it was time to shake the dust off the simulator and get on with other spring-cleaning tasks whilst Colin Boyd worked on the K-8 wings in the old workshop. And thinking of spring, here's a gentle reminder: the club membership year ends on 31 March, which means that renewals of membership are due on 1 April. If you need a form sent to you please contact Club and Company Secretary Leith Whittington. 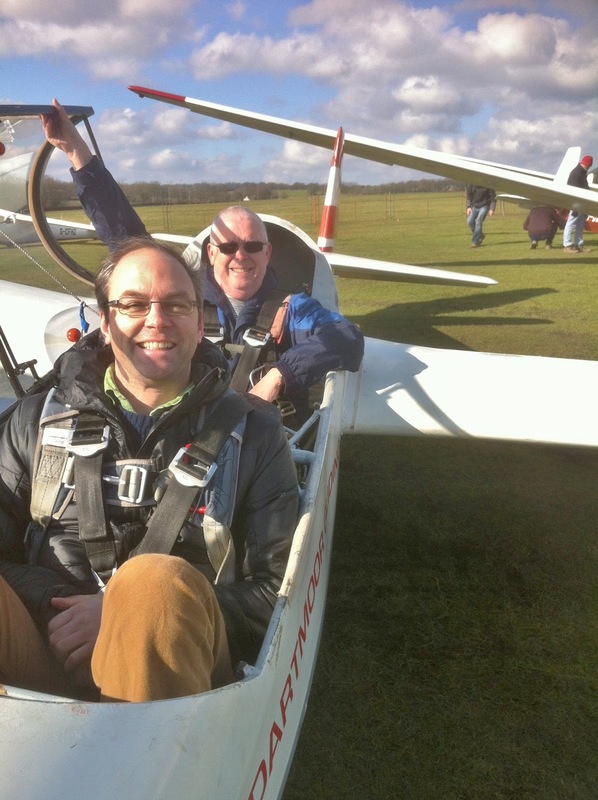 The new rates (which have gone up only modestly) will be on the website from 1 April and remember, you cannot fly without a valid, up-to-date membership (including, where required, medical certificate). 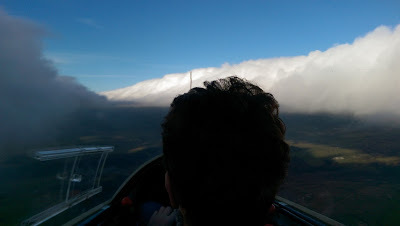 Anyone up for a spot of cloud flying? 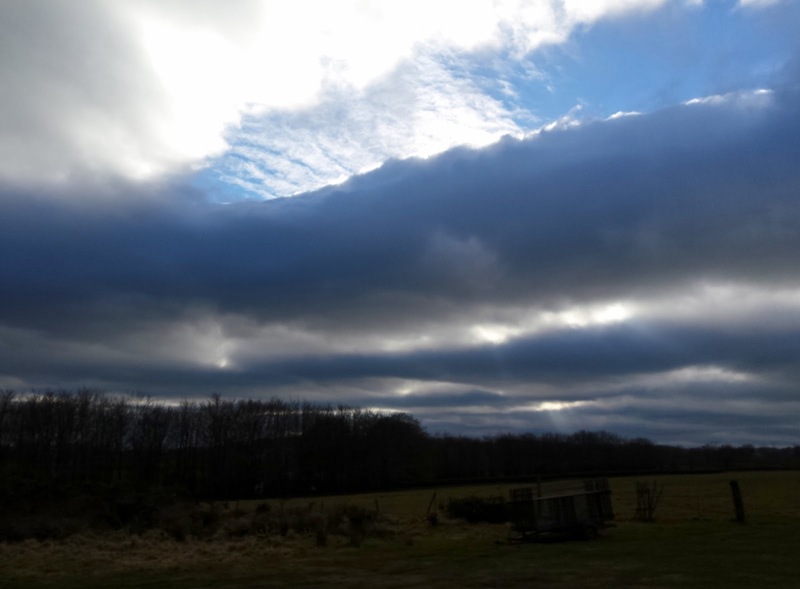 Just one of the dramatic clouds over the airfield today. Finally, the club's AGM takes place at 7pm, on Saturday 9 April 2016. This is your chance to examine the club's finances and vote for who you want to represent your interests on the committee. 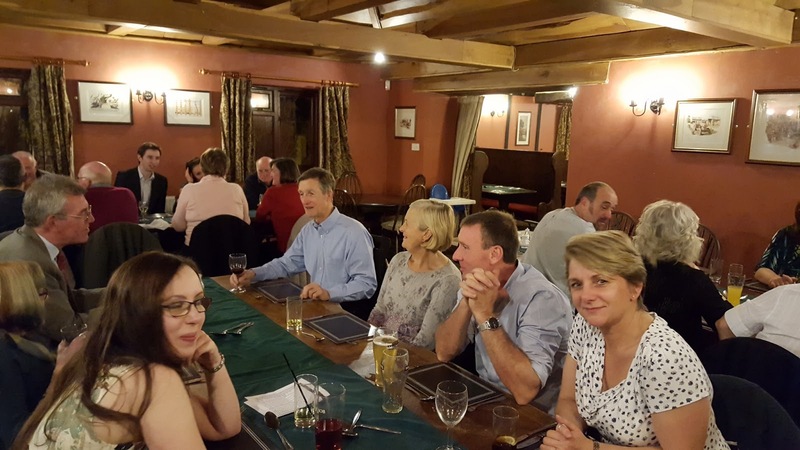 And finally finally, the club's last instructor covered Wednesday takes place this Wednesday, 30 March, after which Wednesdays become Fridays (starting on Friday 1 April). See you there. After the good weather over the last few weeks, with mostly high pressure, it was easy to be fooled into thinking that the Spring/Summer had arrived in good form. Today changed that point of view. The cloud base was very low with constant drizzle. 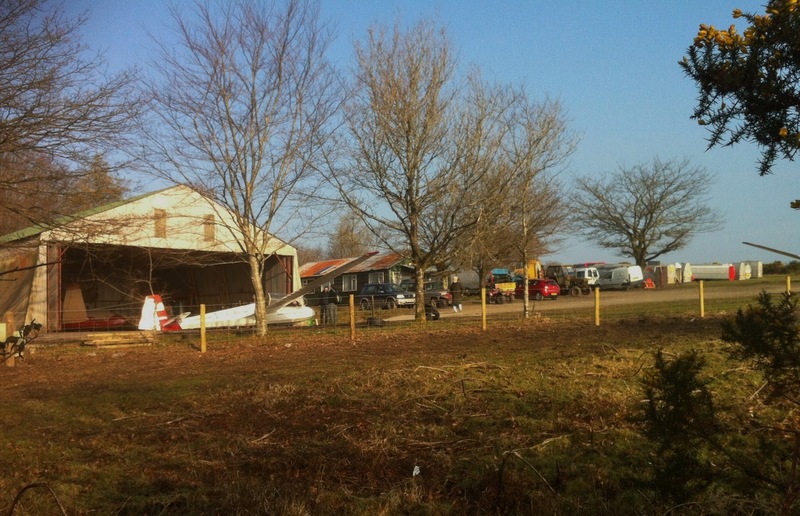 Arriving at the airfield I was amazed to hear the wind roaring through the tress. 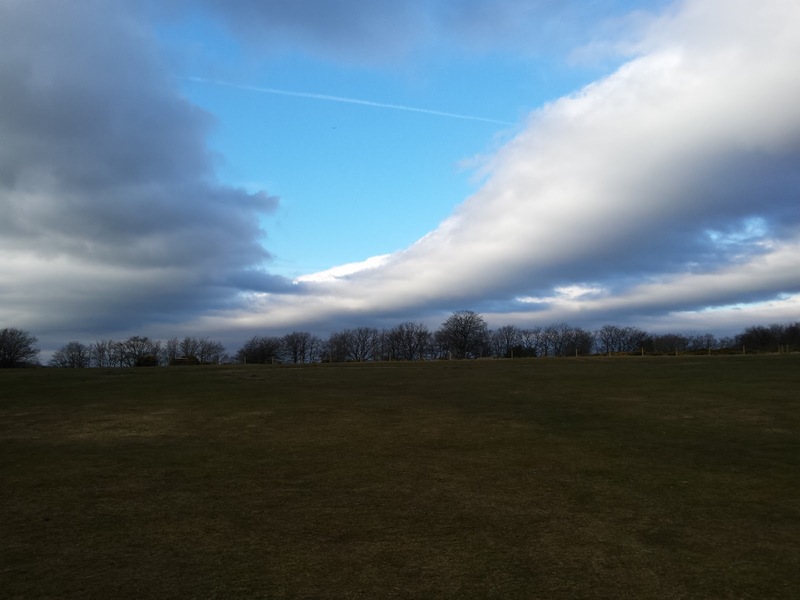 The wind was an angry snarling thing coming from due south. There was a lot of water running off the airfield which was bone dry only a couple of days ago. The normal members were in attendance getting as many tasks done as possible. 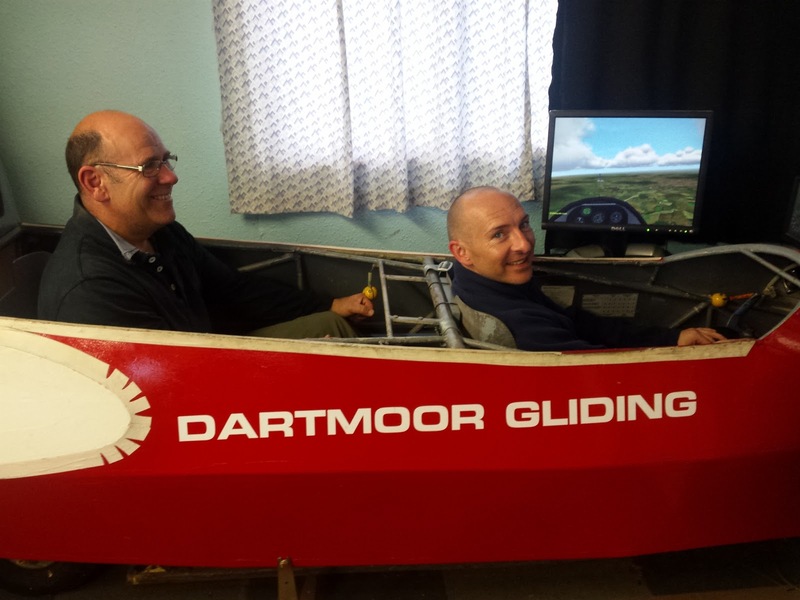 Rick was working on the Guslaunch winch and then worked with Simon Collier on the head tracking devices for the simulator which will eventually give the simulator a 180 degree field of view. Colin was working on the gliders. After lunch, Rick took advantage of the assembled members to deliver a practice lecture on thermal techniques and safety as part of his instructor training course. There is a motto inside the canopy frame of one of the private gliders which reads, “Remember, Gliding is Fun!” Sometimes this is easy to forget, particularly when you’re at 800ft battling it out at with a thermal which seems intent on showing you the exit, rather than welcoming you in. 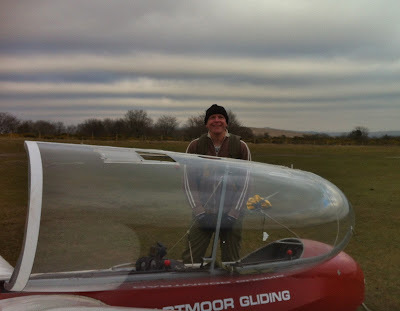 The ‘fun’ in gliding is very often realised only after the event - upon reflection - and this was clearly evident on Chris Owen’s face after his 14 minute jaunt in the K-8: “There was lift everywhere!”, he said, “I just couldn’t put a foot wrong..!” Nor could recently requalified Josef Nobbs a little later, with his 1hr 1min Flight of the Day a little later. 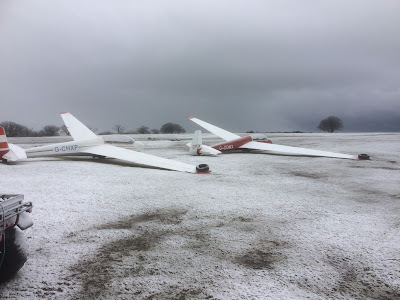 Yes, there was plenty of fun to be had at the airfield today, but the question is, what conditions were they flying in? Returning member Jerry Wellington framed by parallel bars of wave. Although the clouds were forming parallel bars (see photo of returning member Jerry Wellington), and the wind remained in the North-east at ~10kts, unlike yesterday (when it was possible to fly proper beats and stay climbing – with full airbrake deployed! ), today the only to gain height seemed to be to treat the lift as thermic and circle within it. Unless you were a trainee, in which case you were just as likely to find yourself assuming the Recovery Attitude as the cable mysteriously parted company from the glider halfway through the launch. 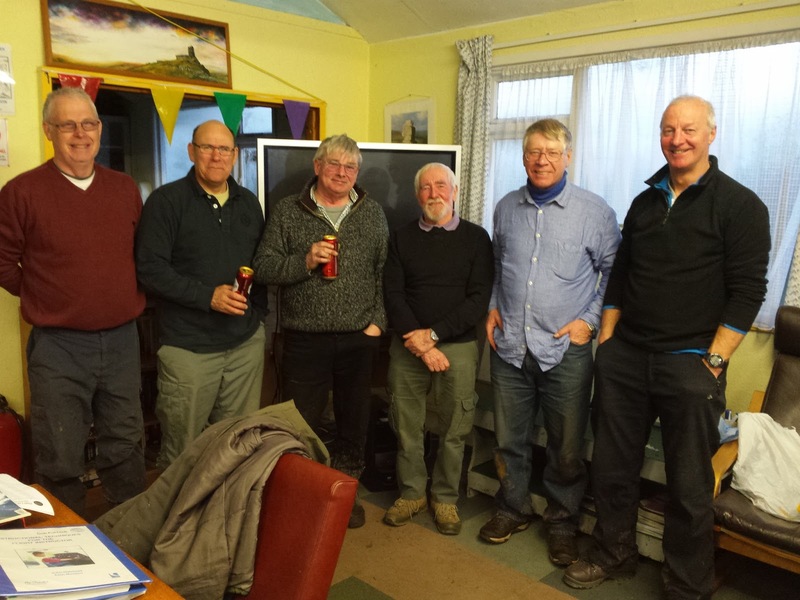 One again, thanks go to winch drivers Barry Green, Dave Downton, Leith Whittington and the retrieve teams who made four expeditions to the southside common in search of the drogue parachute. We also hosted our first visitors on Sunday of 2016: Len Clayton, Jake and Jason Madelin and Paul Elliot being flown by Roger Appleboom in the morning and early afternoon. We were also treated to our first ‘walk-in’, that rare breed of passer-by who just fancies giving it a try. In this case, however, our walk-in came with previous: Adam Fox-Edwards, mine host at the Arundell Arms, Lifton, was previously an RAF Tornado and Tucano pilot, and so by Flight #3 was probably critiquing Roger’s flying rather than the other way around! (see photo). We look forward to seeing Adam again, as his duties at the Arundell permit. Visitor Adam Fox-Edwards, who flew with Roger Appleboom. Analysis of the log shows that we flew a total of 48 launches today, with launch rates in the afternoon almost reaching 9 per hour (two 7s and one 8), clear evidence, not only that Rich Roberts was back on the field, but also of the positive team effort made by all today – many thanks! The dry, high pressure conditions continue. There was a lot of overcast and it was cold in the moderate north to north easterly wind. The club was quiet today which was a bit of a surprise given that the atmospheric soundings looked good for wave as long as there was enough east in the wind. There was a lot of work planned today which needed to be completed before any flying could be done. 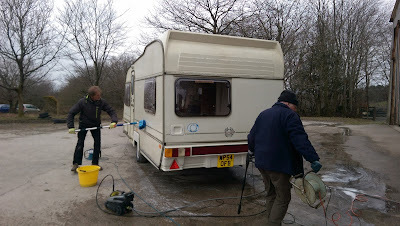 The major task was a serious spring clean and overall of the caravan getting it ready use by our new instructor. 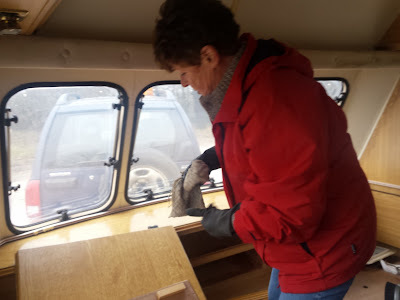 Heather set about cleaning the interior. Rick and Mike pressure washed the outside and then cleaned the carpet and all the upholstery using a machine designed for the purpose. 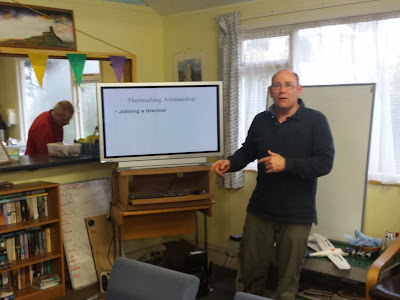 Meanwhile Dave Downton set about the mechanical systems. By the end of the day the cooker was working, the water pumps were operating and a list of spares for the water heater was made. Great effort. In the clubhouse, I was reviewing our glider weighing processes and results with Colin Boyd who spend most of his day working on glider maintenance. Ged and Mike Jardine were working through Module B training. Heather enjoys flying in the wave gap. Eventually it was time to go flying. Initial flights showed some buoyancy in the air but no real sign of wave. Later, towards the end of the afternoon, the wind, moved a few more degrees east and suddenly we were treated to a magnificent wave system overhead the club. Slightly unusually the wave bars were sitting NW-SE instead of the usual N-S. The K13 climbed easily into the wave and was climbing at 4 knots at 3000 feet when Rick terminated the climb because the clouds were moving around and the aircraft does not have blind flying instruments. A useful day with and exciting end. 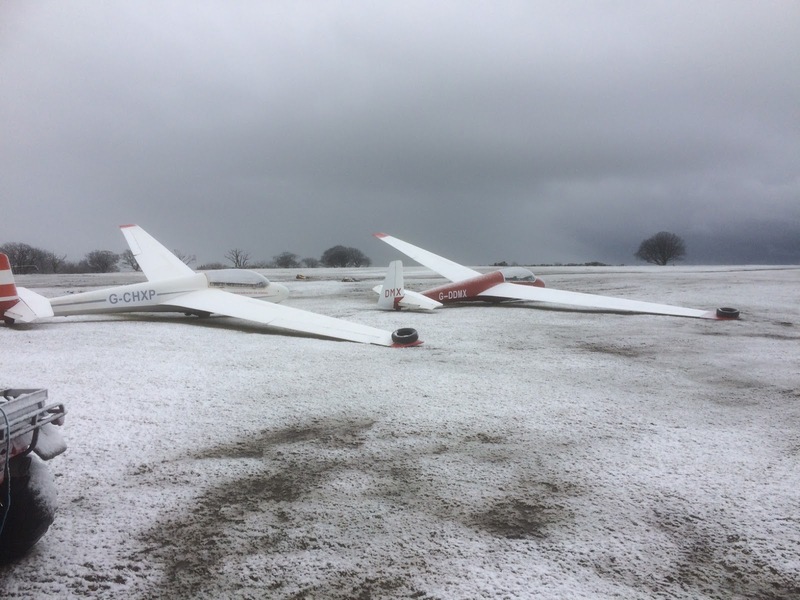 A typical day at the gliding club: turn up early, find loads of people already there and the gliders out, the windsock refusing to indicate the wind direction so decide to change ends as this being the least convenient option. Busy scene at the start of the day. 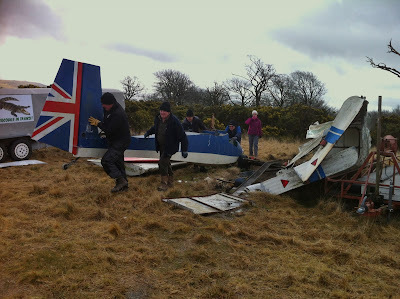 Get launchpoint to west end of the airfield no probs but then, after only 50 metres of movement, the winch sags into the mud and stubbornly refuses to budge. Cue for at least 10 people to gather around and point, whilst Roger Appleboom extracts one of our prized ropes from the hangar to enable the tractor to tow remotely from the track. 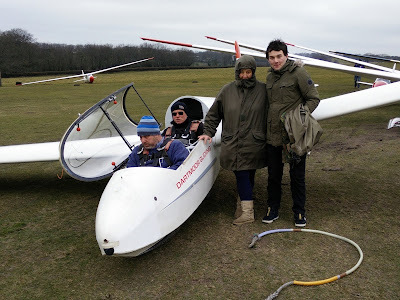 This solved the problem and the onlookers had no option but to get the gliders up and going. 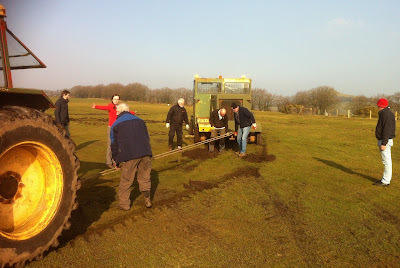 Many members give their advice on how to get the winch out of the mud. 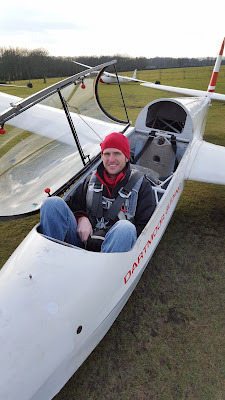 Today, with no trial lessons or introductory flights booked, was unusually sunny, warm and settled with a steady north-easterly breeze. Just right for the daffodils to come out. And so they did, all requiring check flights before they could move onto their various solo mounts. Inevitably this meant simulated cable breaks, and so thanks go to the winch drivers and retrieve crews who were involved in recovering the cable when it went over the (pristine new) fence. 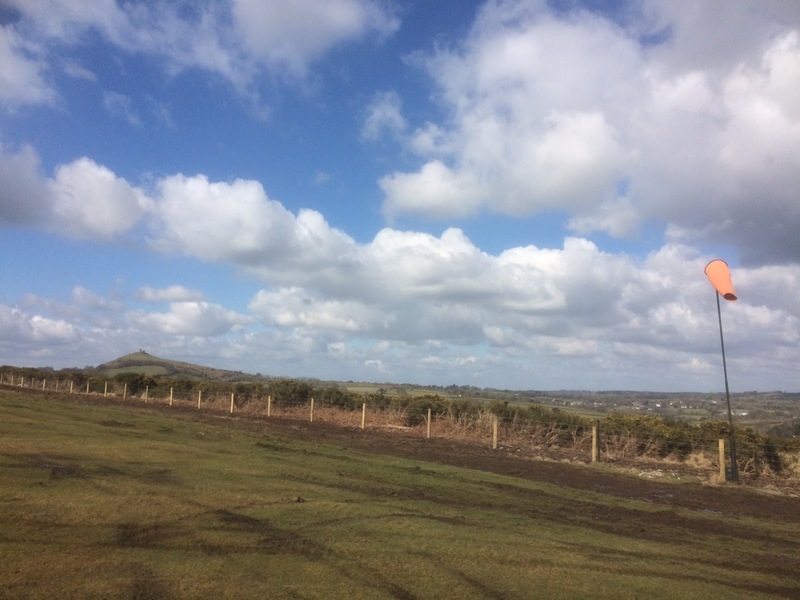 Sadly, on a site as narrow as ours, with crosswinds a common feature, recovery of the cable will always be a part of the Brentor 'adventure'. Yes, you read it right: the wind was north-easterly. So was there any wave? Well, depending on the time of your launch there was some, but nothing you could really make sense or use of (qv. Allan Holland's mid-afternoon 58 minuter – he couldn't work out the wave, but took almost an hour doing so..!) But there were thermals: thermals that went to 2,800ft at 6-8 kts in parts, which Roger Appleboom in his K-6 used to claim Flight of the Day at 1 hr 2 mins. 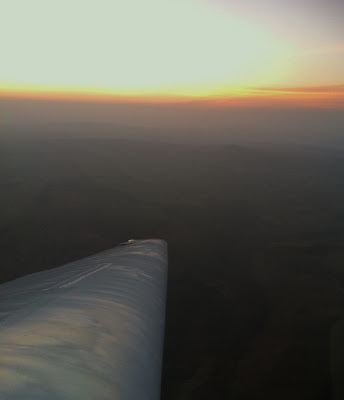 There was also an inversion and haze which presented a challenge to those who are used to a clear horizon. Paula Howarth prepares for her first flight in the K-8. 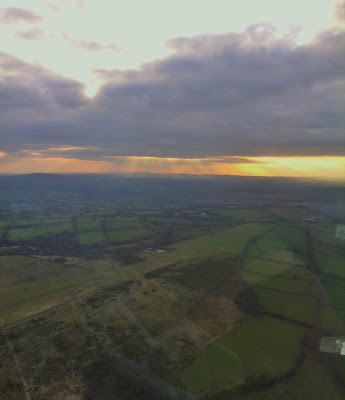 View towards Brentor Church during the last flight of the day with Josef Nobbs. 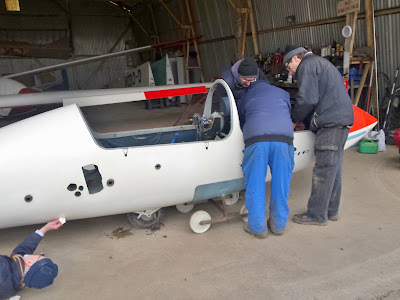 So as the clock struck seven and we shut the hangar doors, with 40 launches (and landings) completed and all flown who wanted to fly, we could justifiably conclude that, for mid-March, it had been a good day. And the ground is beginning to feel firmer underfoot. Finally the weather has improved. There is a large area of high pressure centered over the UK giving us gentle settled conditions. Today it was hazy with lots of top cover. The wind was virtually non existent. I expected that we would have a large contingent of members who had been "missing" to appear needing check rides etc but no the club was relatively quiet. 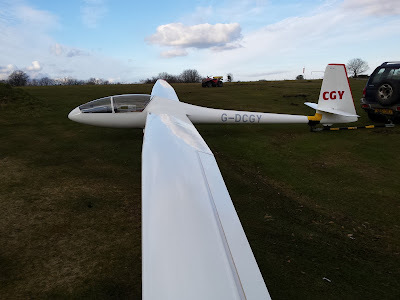 We got out a K13 and the K8 and proceeded to the launch point where we were joined by the Open Cirrus that had emerged from it's winter hibernation. It looks even better this year with it's newly refinished tailplane. 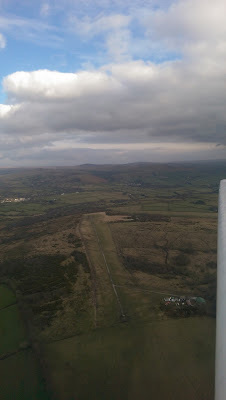 Even though it was hazy it was soarable from the off with most flights getting some additional time in the air. 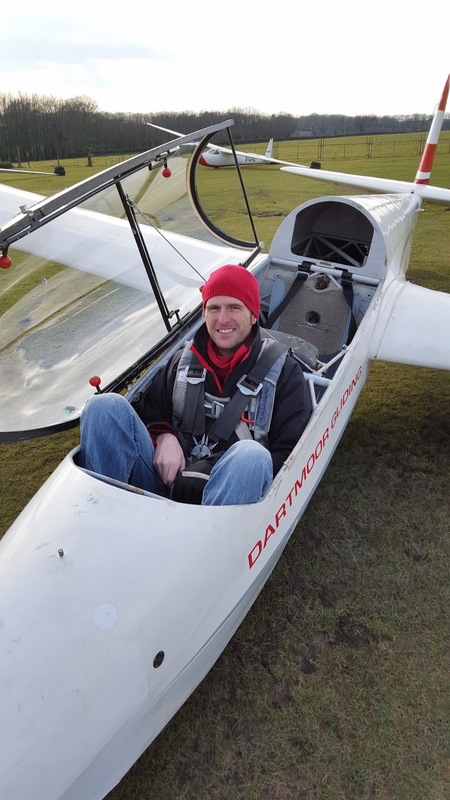 It was nice to see Simon Collier take a couple of check flights and then re-aquaint himself with the K8 managing a credible 14 minutes of soaring in this unfamiliar aircraft. Now it was my turn and I think I timed it just right. There was a large dark cloud mass near the site which I had convinced myself would be a convergence. Lauching the K8 to just 1000 feet (short winch run and no headwind) I turned north towards the darkest part of my "convergence" and was immediately rewarded with the glider starting to rise as I flew into some lift. A quick turn to the left had the K8 climbing like a "homesick angel". It is amazing how this glider climbs with 45+ degrees of bank and 35 knots on the clock. The lift was smooth and less than 10 minutes later there was 2800 feet on the altimeter. 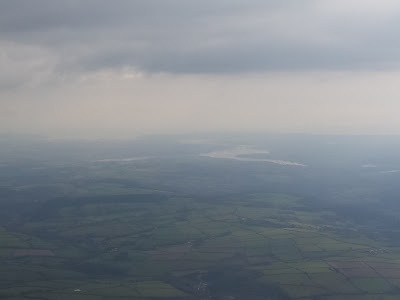 I stopped the climb at this point as the canopy had started to mist up and the cloudbase was only about 100 feet above. Time to explore. To the west, over the river Tamar, the sun was shining but there seemed to be lots of sinking air there. Back under my convergence there was no need to turn to climb, straight lines worked very well. Out to the east, over the western slopes of the higher tors, same story, lots of sinking air. In between these 2 areas sat my convergence with lots of lift which continued down towards Plymouth. Great fun. The visibility was poor under the convergence. 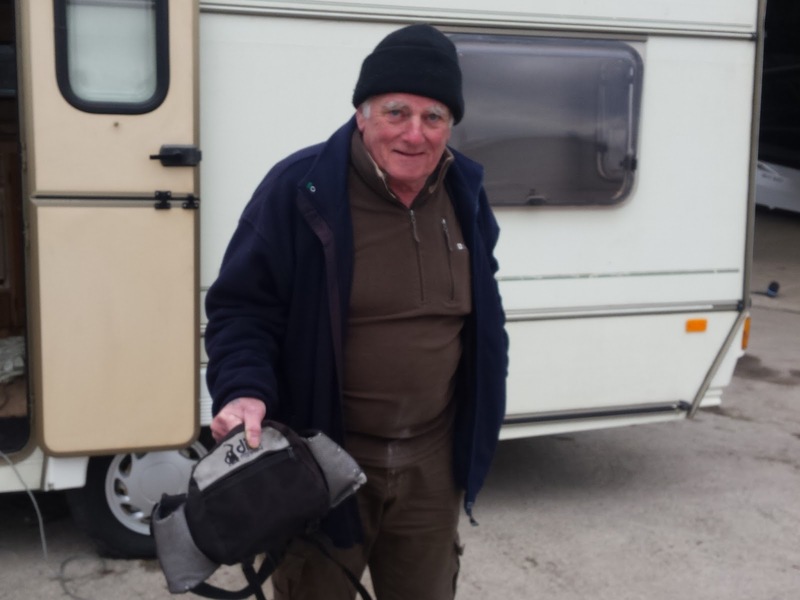 Longest flight of the day was by Mike Gadd in the Open Cirrus who returned after 1 hour 6 minutes to let his syndicate partner, Ged, have a go. 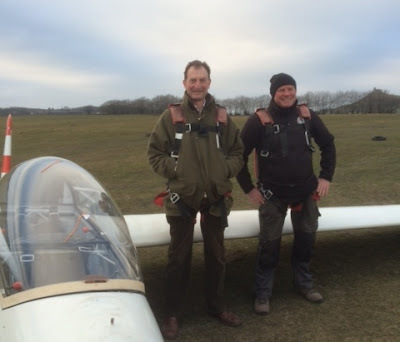 Ged returned after another soaring flight just 10 minutes short of Mike's. Check your watch next time Ged. The aircraft were returned early to the hangar to allow the committee members amongst us to attend a meeting with Gordon Dennis who will be joining the instructor team this season. Our annual meal at The Blacksmiths Arms was a great a success. 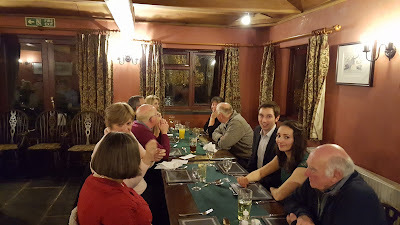 Thank you to all who attended - lovely food, plenty of stories and catching up to do with great friends. It was a nice change to see everyone not looking like Michelin Men/Women, wrapped up in many layers to fight the cold winds or caked in mud from our winter ravaged airfield. 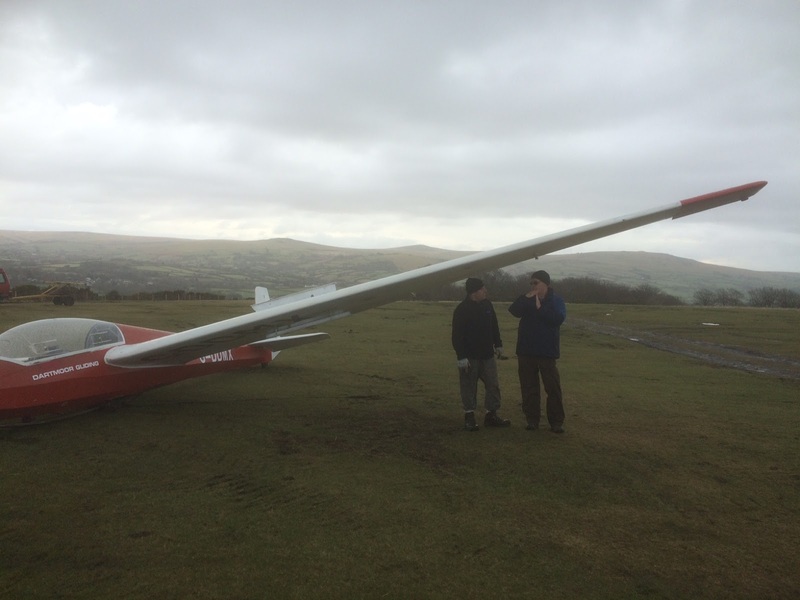 Here's to a season filled with lots of soaring, both present and new members reaching their goals and facing the challenges that the conditions of Dartmoor had to throw as us! Not too many drinks chaps. Tomorrow will be a good flying day. There were Improved weather conditions for the final two days of training , slightly improved field conditions and skies. The days were filled with a dizzying array of flights, briefings and exercises. A much better looking sky on Saturday. Each day finished with both gliders having a good wash down with over 65 launches over the two days. Ged Nevisky was on hand to assist Don on both Friday and Saturday with Martin Cropper assisting on Sunday. Thanks go to our helpers over the last two days , Simon Collier , Mike Bennett , Steve Lewis , Malcom Roberts,Peter Harvey , Barry Green ,Heather Horswill , Edward Borlaise, Roger Appleboom, Dave Dowton and Chris Owen. On Wednesday 2nd March we commenced Module B of the instructors training course led by Don Puttock The course attendees are Dartmoor pilots Rick Wiles, Peter Howarth and Mike Jardine and from Culdrose Steve Moore. On Wednesday 2nd March 2016 due to high winds and rain the course started with 7.5 hours of coaching and briefings from Don about all aspects of the B module tasks to be undertaken over the next few days. 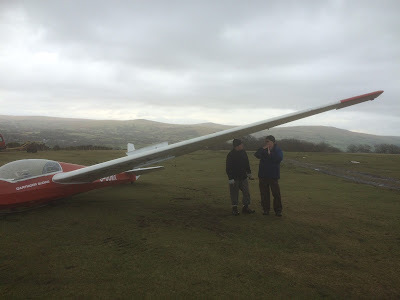 Day two started with the first flight at 9.15am with Don and Steve Moore for familiarisation of the site with Peter and Rick having a briefing session undercover from the rain .Flying was into cloudy conditions that through the day brought in showers which eventually curtailed the flying around 4 pm. 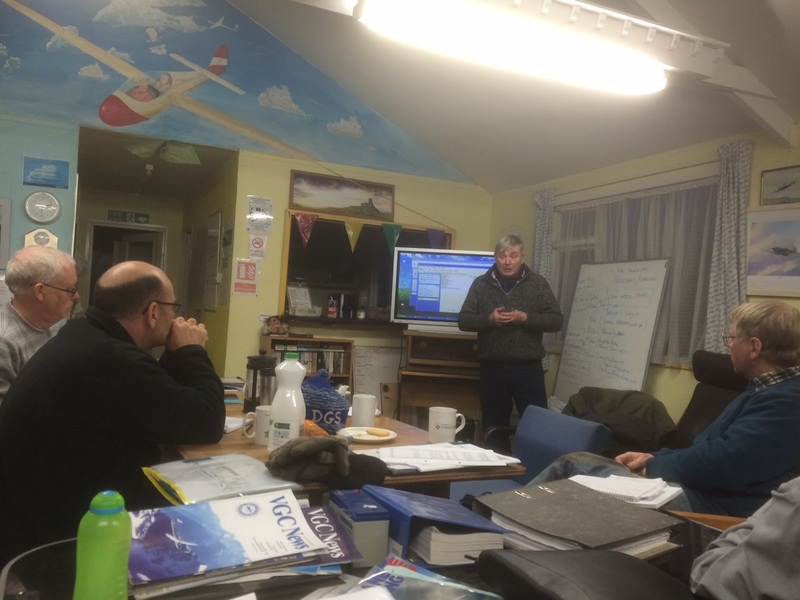 Back to the clubhouse to review progress made , briefings and planning for the next day's flying . Day three started with blue skies and what looked like a promising day with an improved first flight time of 9.08am Ged Nevisky arrived to assist Don in the instructor training at which point the snow also arrived . 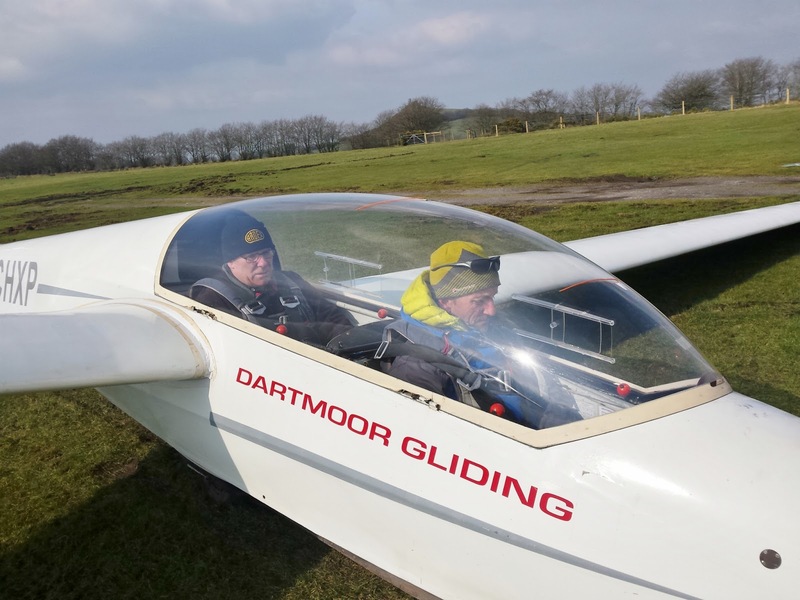 With the Dartmoor weather there is always a change and flying soon commenced again with Don and Steve finding a thermal to take them to 2,880 feet. So far training is going to plan with two more days to go. 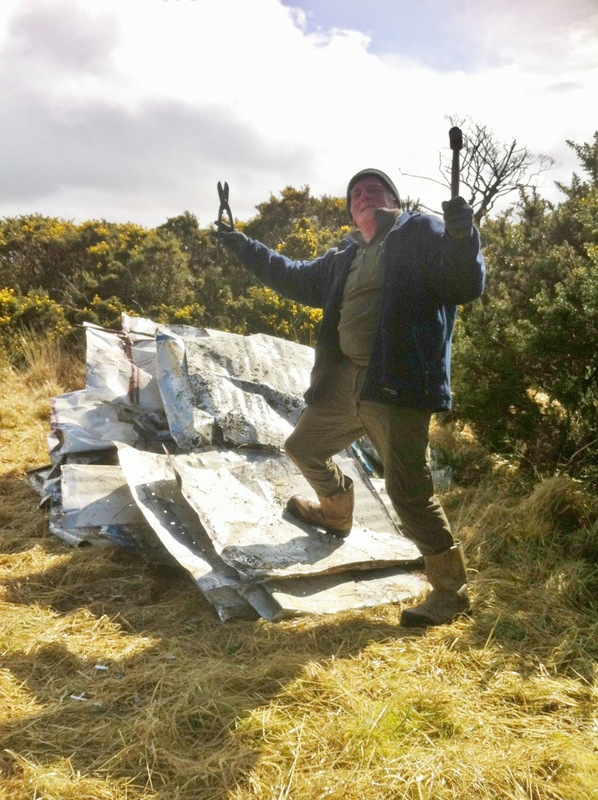 A big thanks to those who have been assisting , Dave Dowton , Steve Raine, Peter Harvey , Jeff Cragg , Barry Green , Dave Bouchier and Mike Bennett. Gusts. What are they all about? You’be got a perfectly good synoptic chart showing isobars, and a pressure gradient from which you can pretty well deduce the likely direction and strength of the wind. And then someone throws in ‘gusts’ – one minute the wind is a pleasant breeze which should generate wave, the next it’s a howling gale..! These, plus the fact that the wind was 30-60o more across the runway than predicted (ie. 030 round to due north) did for us this morning. Which was a shame since, after an early and enthusiastic start, it had to be accepted that conditions were out of limits for trainees to gain any benefit. That did not stop Roger Appleboom, however, from getting airborne in his K-6CR to enjoy two flights each a little short of 30 mins in thermals up to 3,100ft (well marked cumulus cloudbase). 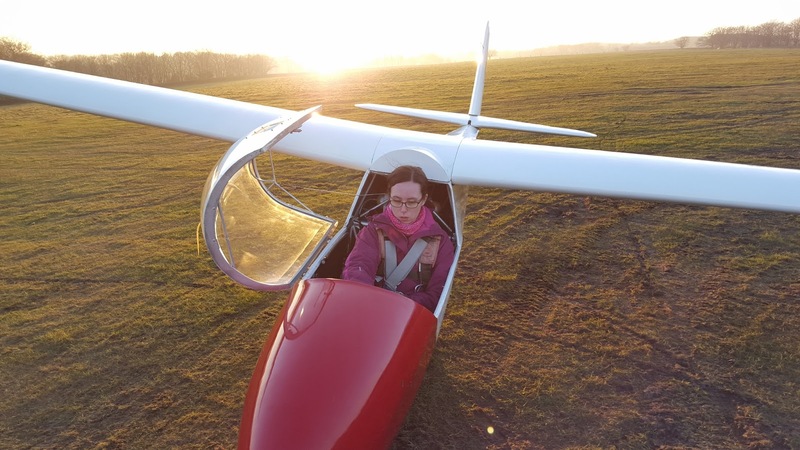 Having called a halt to proceedings by returning to the gliders to the trailer park was rather like attempting to put a tiger back in its cage – it was very keen to get back out! The wind was not predicted to moderate until 2pm however, and so it turned out. The leap back into action was, as you might have guessed, rapid and efficient. Everyone went straight to their places and, from 3pm, we resumed with a launch rate of 4 per hour until sunset a little after 6pm. All those who wanted to fly did so, many regaining currency and all benefitting from the challenge of the northerly crosswind. 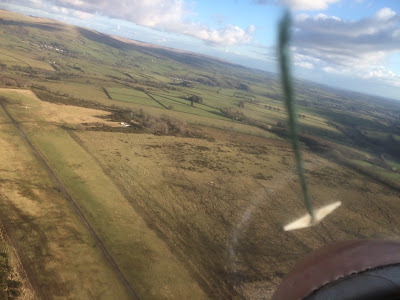 Some (Richard Roberts – also K-6CR) found weak wave running NE-SW over the field, whilst Introductory Flight Pilot Pete Howarth kept one of the K-13s aloft for 10 mins on more than one occasion in thermals. 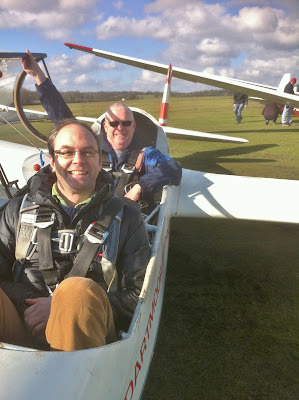 Nick Woodmansey, who flew with Pete Howarth today. 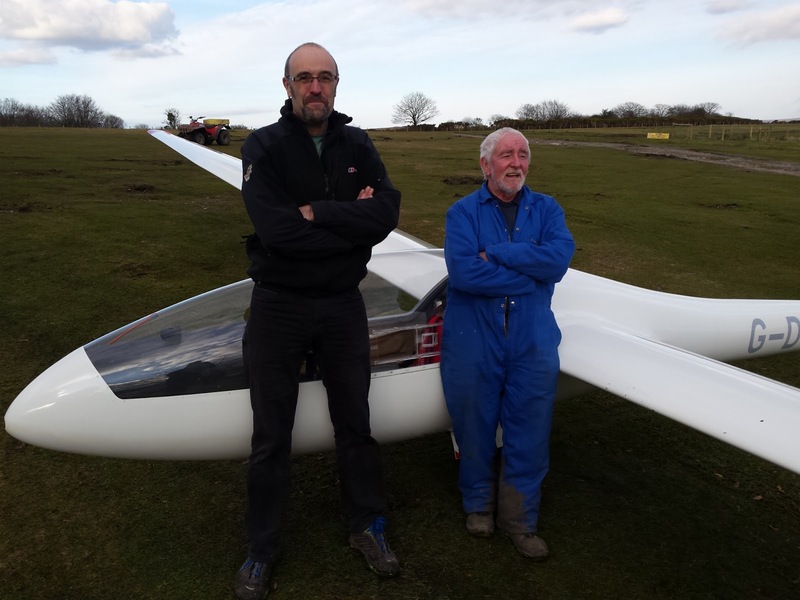 We managed to fly both our visitors, Nick Woodmansey (with previous flying experience) and George Kerr (see photos) and, on returning the gliders to the hangar, were enormously grateful just to have got into the air again and enjoyed the view from above. George Ker, who also flew with Pete Howarth. 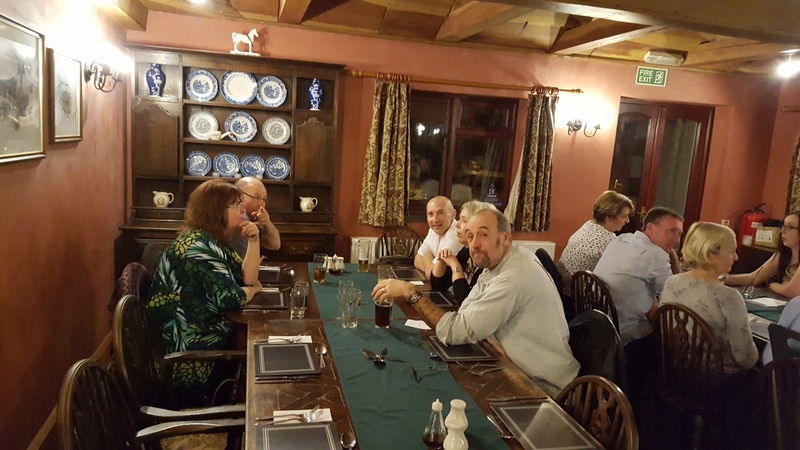 Thanks go to Barry Green and Heather for winching and driving retrieve respectively, and to the cast of characters Ed Borlase, Dave Downton, Roger Green, Paula Howarth, Peter Harvery and Chris Owen who each played their part to the full. Crepuscular light from the SW towards the end of the afternoon. The weather continues mostly dry which is allowing the airfield to recover somewhat. Today it was even possible to roll some areas and this was done. A grey cloudy day with a strong NE airflow. The atmospheric sounding still did not look quite right for wave; the lowish inversion was missing but there was an increase in wind strength with height. A couple of launches were taken early on and these revealed that airborne conditions were really rough but with no appreciable wave. In fact, it was rough enough to prompt a stand down waiting for conditions to steady up a little. Another series of flights were taken 3 hours later but things were very much the same and it was decided to call it a day and the aircraft was returned to the hangar. In the hangar today was a very industrious scene. The Twin Astir syndicate had turned out on mass to work with their visiting inspector to complete the C of A and ARC renewal. 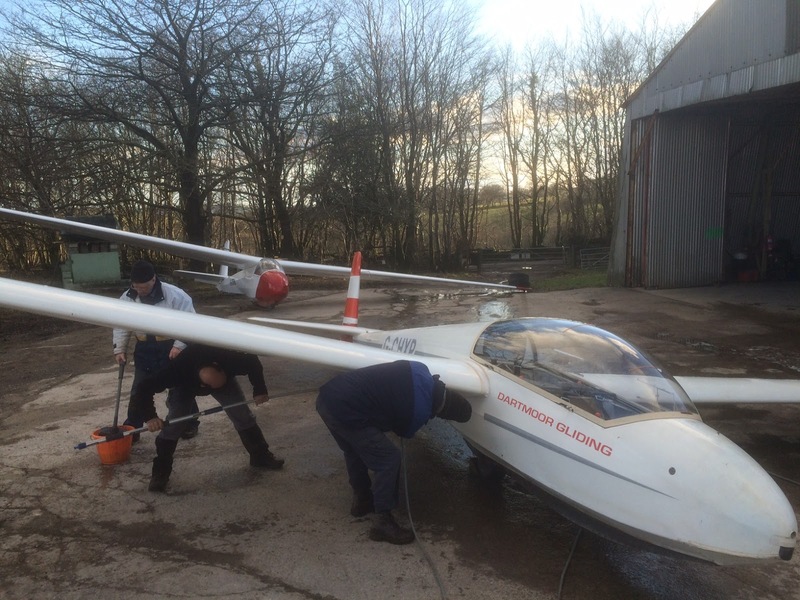 By the end of the day, all tasks had been completed and the aircraft very clean indeed having been completely polished. Next up were the Committee who assembled for a meeting as the rest of the members started to go home. This carried on well into the evening.